Retailers today confront challenges that are unprecedented in other industries. In fact, there’s a case to be made that retailers have experienced more change in the past few years than in the previous 100 years combined. As a result, retailers must adapt to deliver on changing customer expectations. Those who succeed are able to differentiate themselves, while those that fail become irrelevant. The blueprint for success starts with a technology foundation that links an organization’s front- and backends, provides a single view of the customer, enables delivery of a consistently outstanding customer experience, and is flexible and scalable. Retail has gone through massive disruption, and the rate of change continues to accelerate due largely to influence of the internet and cloud, which provides consumers easy access to retailers with broad product assortments and transparent prices. Today, the consumer is in the driver’s seat. They expect information and products at any time from any location, and no longer follow a linear purchasing path they expect a fast, seamless process. 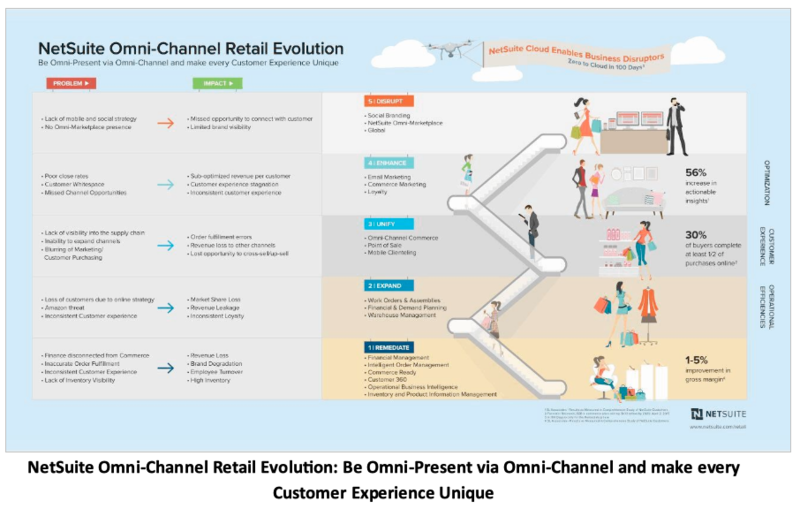 As a result, retail and commerce have become “omnichannel,” combining physical stores, ecommerce, digital marketing and mobile in an interconnected experience. And, business models are shifting as product companies become service companies and service companies become product companies. These legacy systems are boat anchors holding retailers back on delivering more engaging experiences. Aging, disconnected IT systems: A big hairball, with each system providing different data, and high costs to constantly update and integrate these disparate systems. Traditional ERP systems have contributed to an IT deficit. ERP systems have historically been for the back-end. When a front-end solution was needed – like an ecommerce solution or mobile site it was simply bolted on. 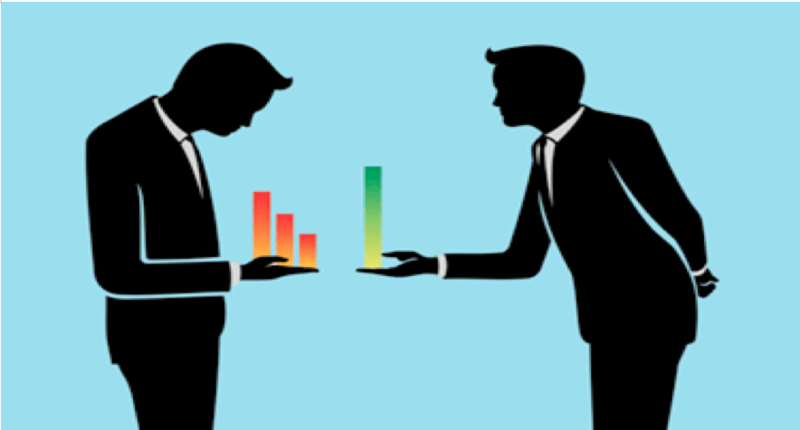 Inconsistent data: Data has to be consistent across all customer touchpoints to ensure a seamless experience. Employee impediments: Without the tools and data to provide personalized, relevant experiences, employees aren’t empowered to provide experiences that stand out to customers. Retailers need to transform themselves with connected systems that enable delivery of great customer experiences. In this hyper-competitive environment, we have identified five pillars to building a unified customer experience based on the experiences of our strong base of retail customers. 360° customer view: This requires having all customer data in one place, including purchase history, returns, and preferences. Innovative experiences: Flexible platforms enable innovative new experiences that go beyond traditional ecommerce. Intelligent order orchestration: Retailers need to be able to orchestrate orders intelligently and use inventory more efficiently to better serve customers. Unlimited expansion: Retailers need scalable platforms that allow for unlimited expansion across the globe, as well as into new products and services cost effectively. Single cloud platform: Because change is so fast, cobbling together and constantly upgrading on premise systems is prohibitive. Outstanding customer experiences require a cloud platform. Retailers face a choice of continuing to use multiple point solutions, using a traditional back-end ERP and bolting on front-end pieces, or adopting a modern, cloud-based business system. NetSuite pulls together the back-end system of record and front-end system of engagement into a single system. It enables retailers to deliver on all customer-focused business musts: a 360° customer view, a platform for innovative experiences, advanced order management, and a cloud-based architecture that can scale for unlimited expansion. To learn more about how NetSuite helps you create a customer centric commerce experience that can power your growth and to receive the complete NetSuite white paper – Contact us today!